We have awesome news!!! Our Plus Size Children Sewing Patterns are now available on Amazon! Check out three of our newest plus size girls patterns, shown at the top of this page. We’re showing one of 2 new swim suit patterns, a “strappy” top and our much requested Sport Bra for plus size and overweight girls. The “strappy” top and sport bra sewing patterns have been flying off the shelf! The regular blouses, tank tops, elastic waist pants and shorts, denim jeans and carpenter pants are there too, for you to check out. The Plus Size Children sewing patterns on Amazon are physical patterns that can be shipped only to U.S. customers. 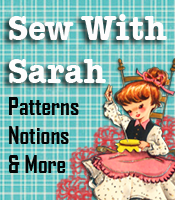 The downloadable plus size children sewing patterns are available at SewWithSarah as well as our Etsy Store. The downloadable patterns, of course, can go anywhere in the world. Check out the entire selection. We’re in the process of adding more new styles, so bookmark the shops so you can come back on a regular basis. Your hard to fit children or grandchildren will thank you for their new fashionable and well fitting clothes.